Everyone knows what its like to get the perfect gift… you know, the kind that really strikes a chord & makes you realize how much someone just gets you? 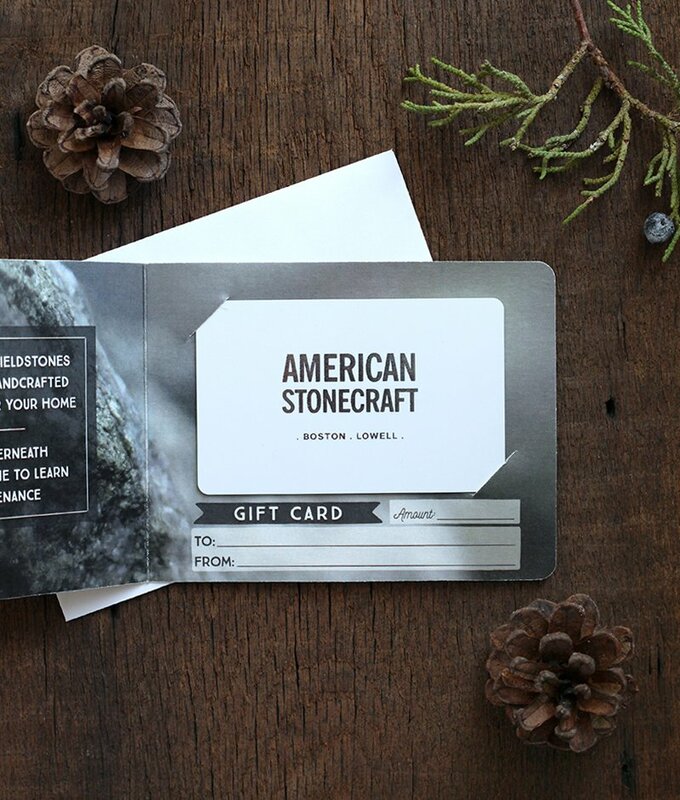 We compiled our very first 2016 American Stonecraft Gift Guide this year with the hope that one of our stones, with their connection to the places around us, and the Earth that we all call home, might be the perfect gift for someone special in your life. Sounds pretty awesome, right? Enjoy! Pair one (or all three!) of our new stainless steel American Stonecraft Cheese Tools with a Food Slab for the ultimate Cheese Lover’s gift. They are handmade in Massachusetts, and also happen to be the only set of cheese knives made in the USA! 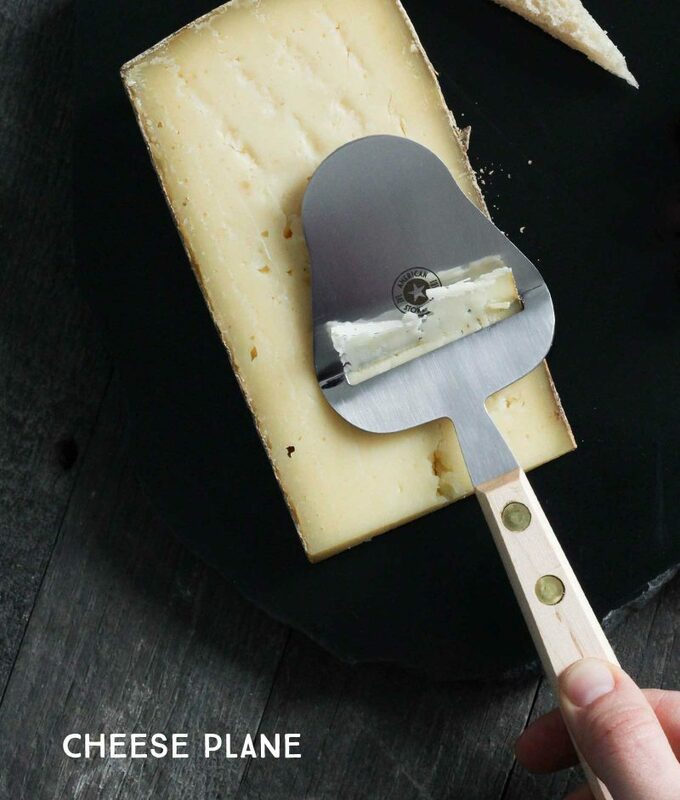 The Cheese Plane design is perfect for entertaining. 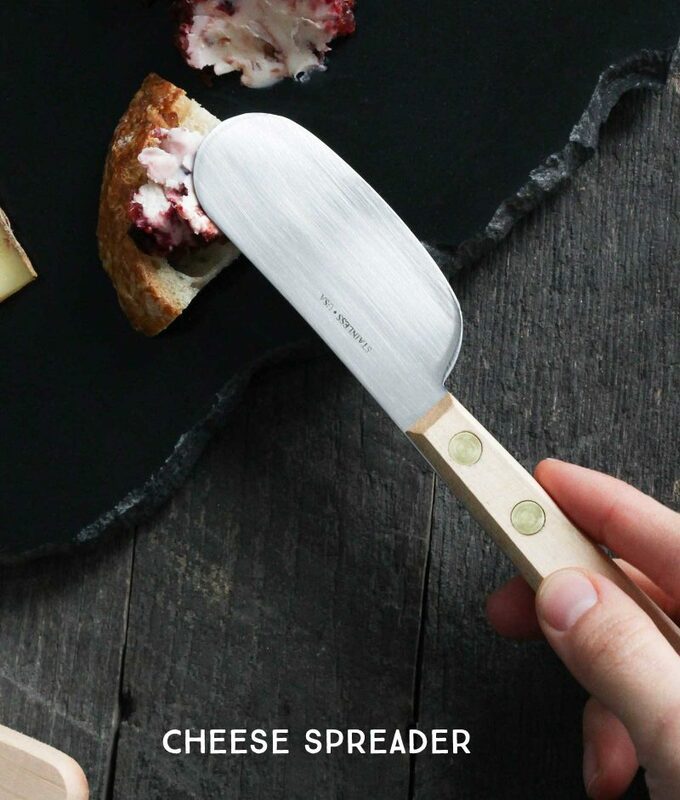 Use it to easily slice a portion of medium to hard cheese without ever touching the cheese with your hand. The slice of cheese rests on the far edge of the Plane, making it the perfect tool for passing cheese to your guests in a clean and mess-free way! 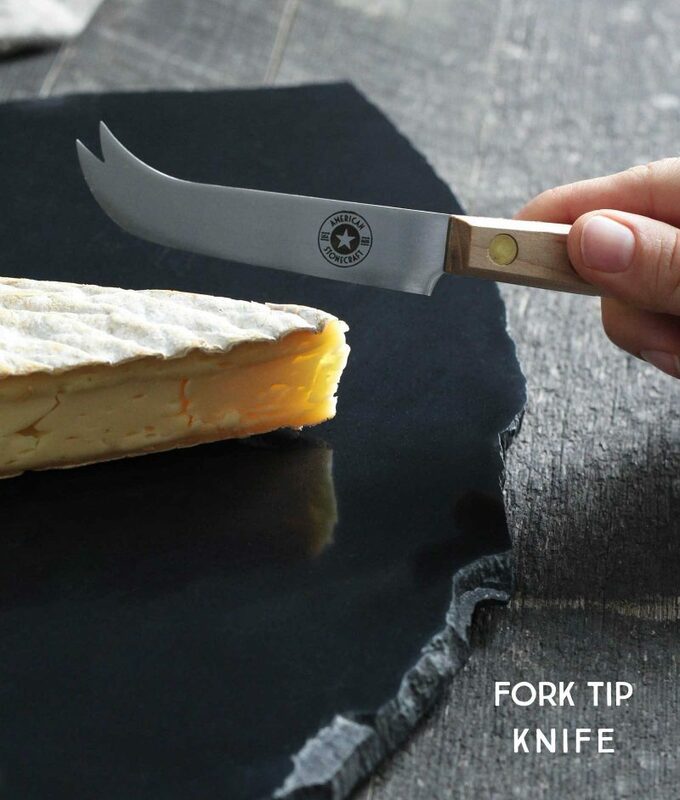 A narrow blade on the Fork Tip Knife allows this cheese knife to swiftly pass through any type of cheese, from soft, semi-soft, medium to hard cheeses. Use the fork tip to pick up your freshly sliced piece and pass it to a friend, or place it on a cracker. It’s also great for deftly selecting pickles, olives, and charcuterie from your cheese board. 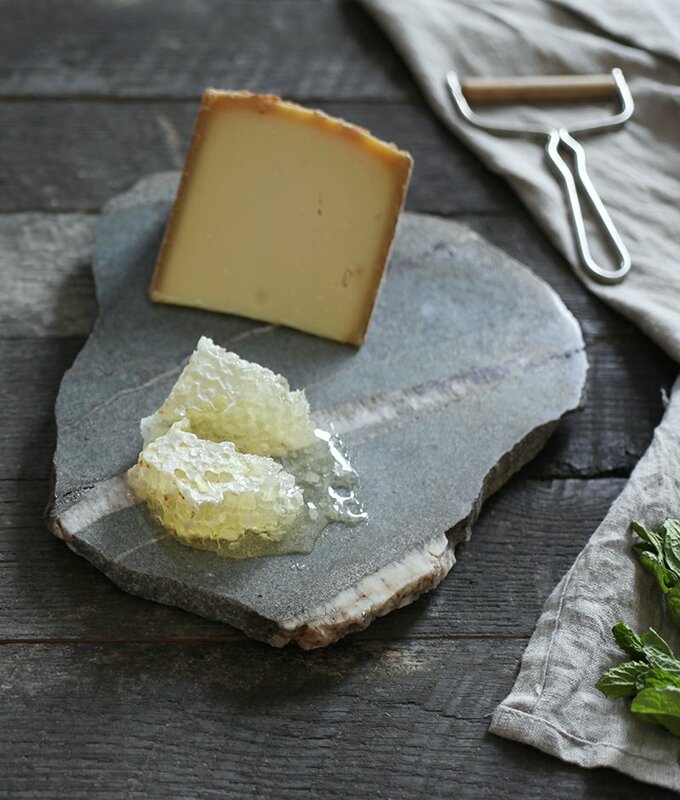 A wide blade on the Spreader Knife provides ample surface for expertly spreading soft cheeses, honey, jams & jellies. The lower edge of the blade is sharpened to allow for slicing medium to soft cheeses. Our most popular item by far are our Food Slabs. You really can not go wrong when choosing this as a gift. We put a lot into crafting them, and it is a very personal process. From meeting the farmers, to gathering the stones, and crafting them by hand in many steps. Sometimes they’re so special that it is hard to let them go. They are each truly a one-of-a-kind collectible, forever labeled with their farm of origin on the underside. A treasure for generations to come. For an individual or a couple, the 8″ Food Slabs and 9″ Food Slabs are suitable. For small groups, a 10″ or 11″ Food Slab provides a good amount of space for 2-3 blocks of cheese or meat. For bigger groups or entertaining, the 12″ Food Slab and larger gives you more space to fit a variety of foods on the stone. Pick one that you like visually, or choose based on the farm, town, or state where we gathered the stone. You can easily sort and filter your search in our web shop to find exactly what you are looking for. 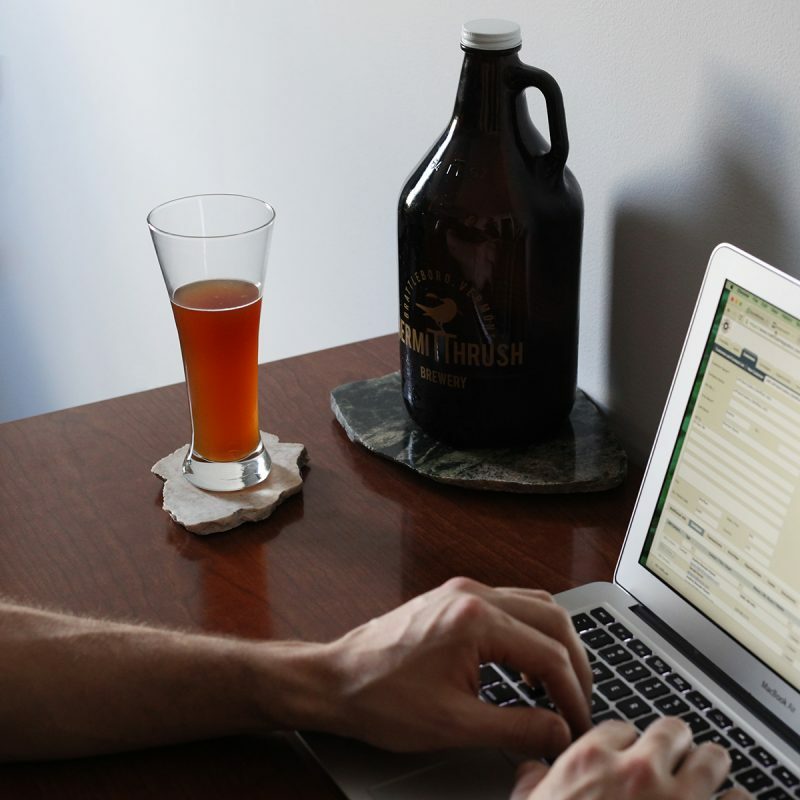 We like to think we’re making coasters cool again. Wait, were coasters ever cool? Okay, we’re making coasters cool. We take locally farm-sourced fieldstones and polish them just enough to highlight their unique colors while at the same time leaving enough pores in the stone to naturally absorb condensation from your glass. Show us a cooler coaster than that. This is an awesome, affordable, and meaningful gift that you can give to anyone who loves geology, beer, coffee, the outdoors, or New England. Each coaster is comes in its own gift box, so you can just put a bow on it and you’re done! It goes over very well as a man gift or guy gift for that dad or brother that is perpetually difficult to buy for year after year. If you have a bird watcher to buy for this year, we have the gift for you! Feathered visitors will delight in the organic feel of our limited edition fieldstone Bird Baths. With the raw stone shining through in the design, it is a harmonious fit for any garden, yard, deck or patio. Some people just love collecting rocks; from places we’ve visited, journeys we want to remember, or even just when we find one that is so much more unique than anything we’ve seen before. Really any of our stones will most likely please any Rock Coll ector you know but isn’t even better when you give the gift of a stone that has every quality rock collectors love, and also can be put to good use? Our smaller Food Slabs and Trivets are great for using around the house. Anyone who loves collecting rocks will definitely love bringing this natural element into their home in a more polished way. 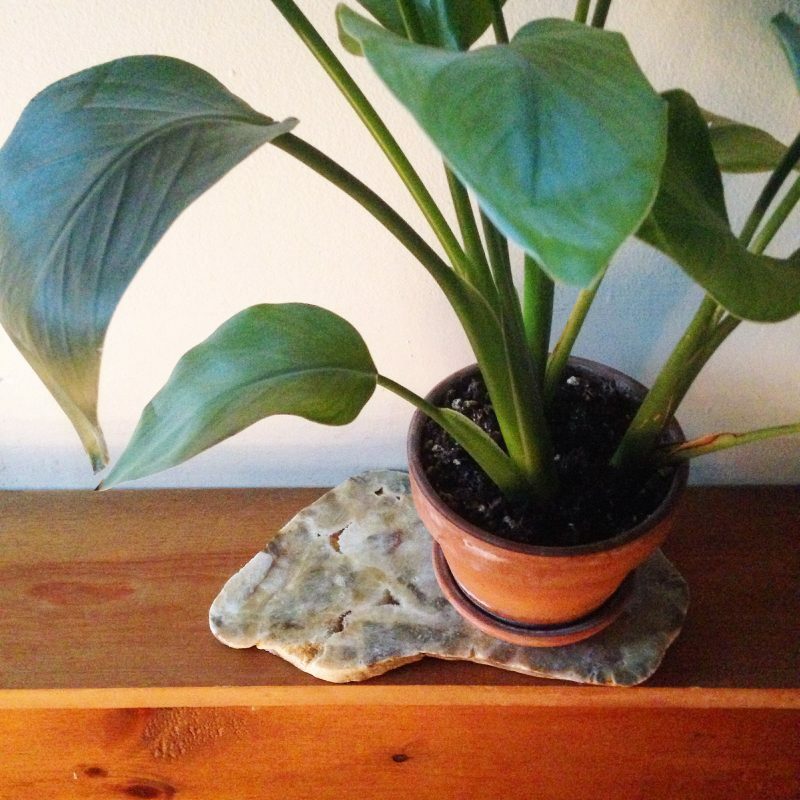 Choose one of our smaller stones to give as a base for a plant or under a vase of flowers. They work like a charm under potted plants to protect wooden furniture from water rings and they look great too! One of our favorite seasonal indulgences are these Fir Needle soy wax candles. They are made by Bedrock Tree Farm, one of our Farm Partners in Wakefield Rhode Island. The candles are handmade at the farm from fir needles harv ested from their own trees. 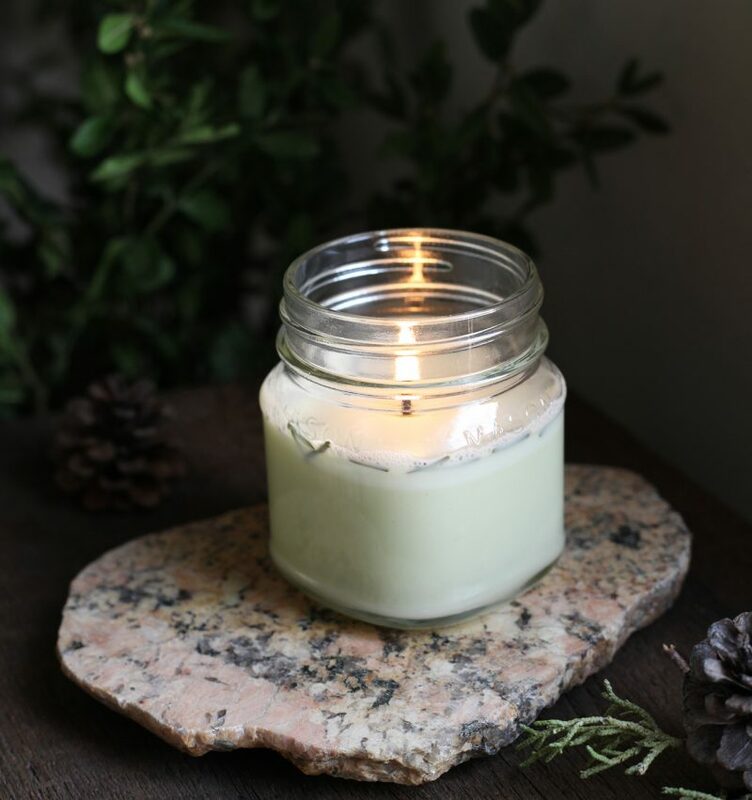 The candles smell divine, and fill your home with the freshest scent of Douglas and Balsam fir. Instant cozy. And, they pair so well with our stones, making a unique, local, handcrafted, one-of-a-kind gift. A Coaster, or a 6-7″ Food Slab would be the perfect size to use as a base for the candle. The candles are available in the 8 oz. size shown, as well as a 16 oz. size. We debuted our Cook Slabs this year and they have definitely been our hot new product, pun intended! 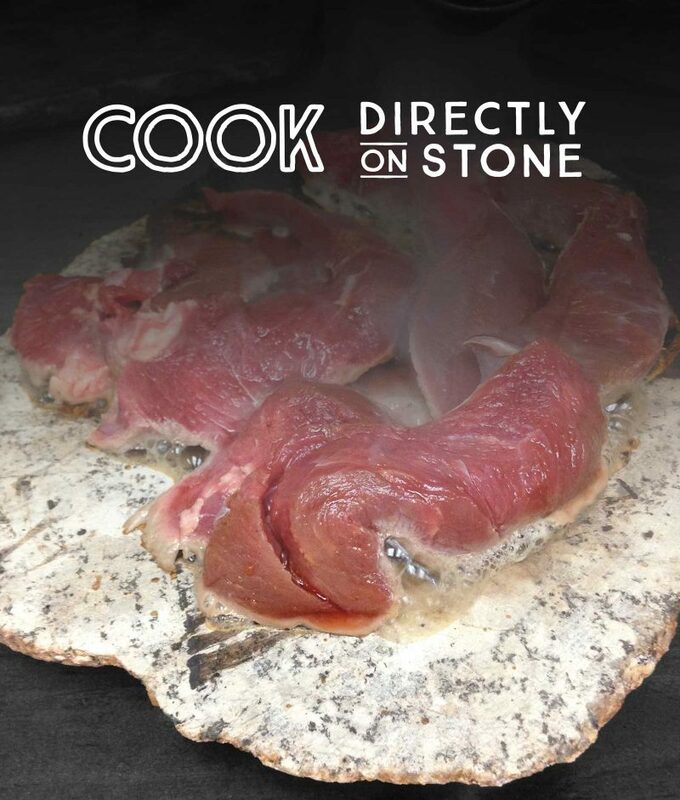 Use our Cook Slabs to cook directly on stone at your table! Once the stone is thoroughly heated in your oven, bring it to your table as a surface for sizzling veggies and thin cuts of meat or fish. Our Cook Slabs are made from fieldstones that American Stonecraft hand-gathers at farms in New England. Our team of artisans slice, grind, and polish the rocks with diamond tools in our Lowell, MA studio. A free Wooden Block to use as a stand is included with the purchase of every Cook Slab. Hunting and sharing uncommon geology is a lot of fun. That’s why we love recommending that you build coaster collections of different stones. Together, each piece will highlight different, unique stones. However, now you have the option of giving the only New England fieldstone coaster in the world as coordinated Set! Sometimes we find a rock and can cut it like a loaf of bread. You get to see how the geology transitions in neighboring pieces. These are sets that are very similar in color and movement and quite complimentary but each piece is still unique. Do you like living edges? Stone shapes crafted by tumbling glaciers many thousands of years ago. 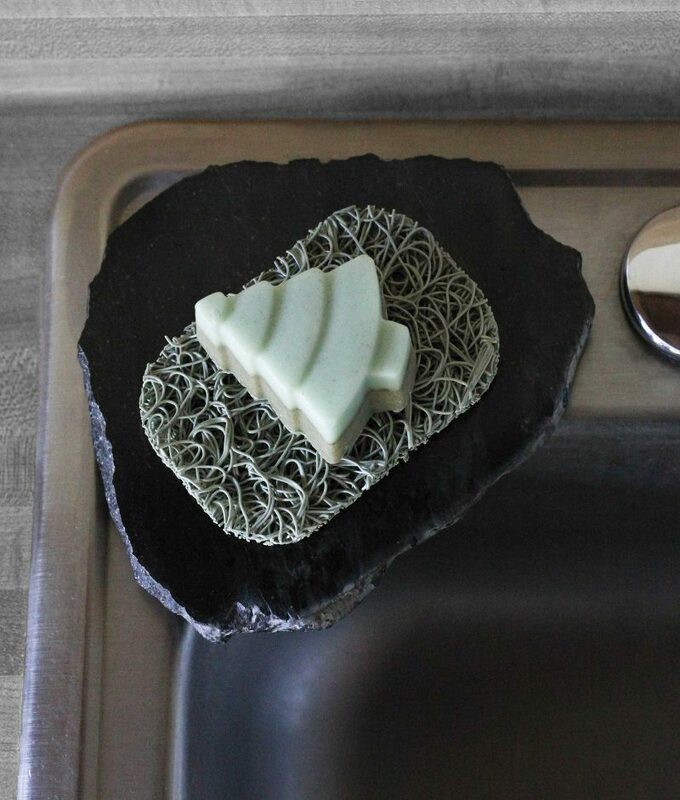 Well our favorite soap dish is a coaster + soap lift + fir needle soap combination and it shows off this live edge. The soap lift is bio-plastic that can be washed in a dishwasher, and will keep your soap bar from sticking to the stone by creating a layer of air between the soap and your soap dish. No more melting soap! No mess on the countertop. They look and work amazing when paired with one of our Coasters or smaller Food Slabs. This darling tree shaped fir needle soap is also made by Bedrock Tree Farm, and is scented with real fir needles and essential oils in a shea nut and cocoa butter blend. There are two layers in each bar, giving you the option to use the soft and smooth side, or to flip it over and exfoliate with the pine needle side. Know a rock hound? You know the type. Saggy cargo shorts filled with beach stones. Suitcases a little heavier on the return flight. Stones lined up on the mantle. Well did you know that American Stonecraft does custom work with a stone of your choosing? Our prices even include shipping and we will send a shipping label to get your 60 lbs stone to our studio in Lowell. No driving needed. Learn about the steps here. Not sure someone’s taste? Want to let them pick their own collection? Our Gift Cards can be redeemed at our Boston Public Market location, our Lowell Studio, or on AmericanStonecraft.com.